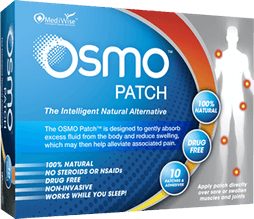 Disclaimer: The information on this page is intended for individuals who have been medically diagnosed with subdeltoid bursitis. If you suspect that you have subdeltoid bursitis then it is important to visit a qualified medical professional in order to rule out any other possible causes prior to considering any advice or treatment option. Subdeltoid bursitis is the condition that results when the subdeltoid bursa becomes inflamed. The subdeltoid bursa is also commonly referred to as the Subacromial-Subdeltoid Bursa or SA-SD bursa and is actually the largest bursa in the body. Subdeltoid bursitis occurs under the deltoid and is located under the AC joint (acromioclavicular) which extends down to the top of the humeral head. The role of the Subacromial-Subdeltoid Bursa is to protect and aid the rotator cuff tendons to move smoothly when the arm is rolled up and down. Subdeltoid bursitis can occur due to an impact injury, repetitive strain, impingement resulting from bone spurs or congenital abnormalities of the acromion casing narrowing. 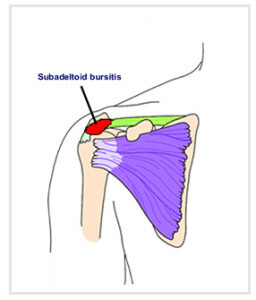 Common subdeltoid bursitis is simply referred to as shoulder bursitis.